The session was very helpful and interesting. I got to learn most of the things related to Scrum practically. Helsinki being the largest city and the capital of Finland, is the hub of all kinds of socio-economic activities. It is home to millions of dreams and KnowledgeHut Academy brings to you an opportunity to advance your career and realize your dreams of CSD training in Helsinki using the best possible coaching by experienced and expert trainers and tutors. KnowledgeHut’s CSD course in Helsinki comprises of a 5-day workshop that includes online lectures as well as classroom practice sessions. Starting with an introductory demo on the various facets of CSD training in Helsinki, on the first day, you will get access to materials that will guide you towards what is to come and how to apply your knowledge in an efficient and effective way. On the second day, through innovative e-learning, you will be made familiar with the basic electives. The third and fourth day will demonstrate various technical aspects of the certified scrum developer training in Helsinki by experts of the institute. On the last day, you will get an extensive recap of the course. 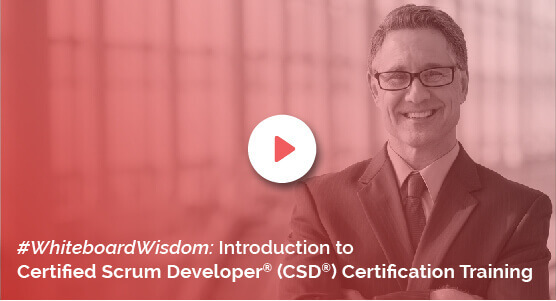 Register yourself in this course and get the reputed Certified Scrum Developer certification in Helsinki at an extremely reasonable cost. Firstly, you get a 2-year membership with Scrum Alliance along with the Scrum Alliance approved course material. These are few of the many benefits offered by this CSD course in Helsinki. KnowledgeHut believes in the methodology of customised training for effective learning at fees that is minimum. Enrol yourself for the course and get satisfactory hands-on training .